If you’re like most people, you spend most of your day thinking about what went wrong. Over time, this way of thinking can greatly impact your happiness. Fortunately, one happiness intervention has been found to be very effective at reversing this negative bias and making people lastingly happier over time. One study asked participants to write about 3 good things that happened to them and why every night for a week. The results were impressive. Happiness improved and continued to increase in the participants over time. Happiness increased by 2% after 1 week, by 5% after 1 month, and by 9% after 6 months. Participants noticed that after about 3 or 4 days of doing the exercise, they being to look for positive things throughout the day that they could write about. So, obviously the exercise had a profound impact on how they saw the world. The researchers only told participants to do the happiness exercise for 1 week, but it was so easy and effective that most of the participants continued it indefinitely. This likely explains why happiness continued to improve over time (see chart below). Interestingly, the same study had participants write a letter and deliver it to someone who had been kind to them, but who they had never properly thanked. 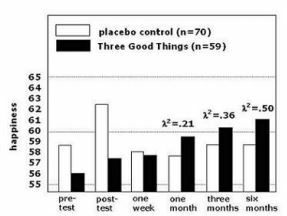 The participants who completed this task had a bigger surge in happiness post-test, but the benefit had completely evaporated by 6 months (see below). This is likely because the participants didn’t continue to practice writing letters over time. So, commit to writing down 3 good things and why every day for a week. Hopefully you’ll like it enough to keep doing it. 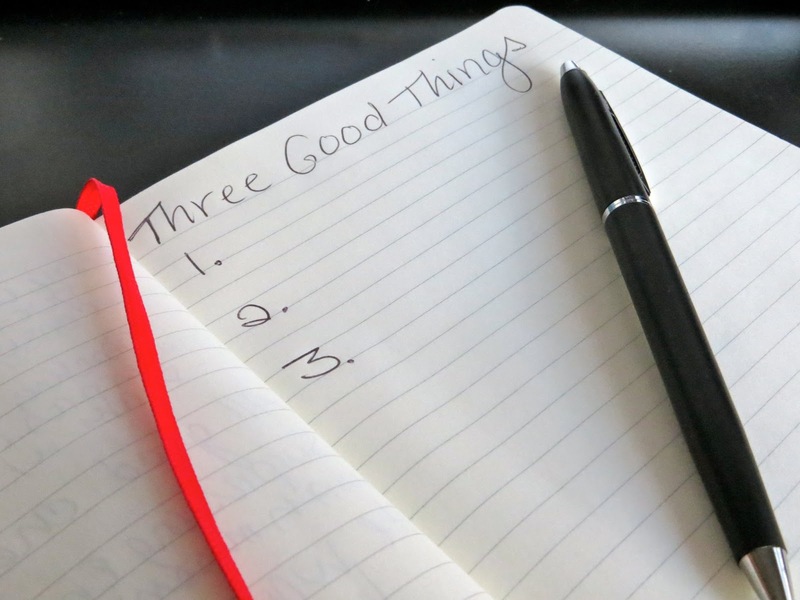 Two quick pointers: (1) writing down the 3 good things will allow you to look back at everything you’ve written in the past, giving you an extra boost. (2) You’re most likely to remember things during your last 2 wakeful hours, so right before bed is an ideal time for the exercise. Good luck! What Temperature Makes You the Happiest? Does Mortality Increase Your Enjoyment of Life?